The Phoenix is a creature described in Greek mythology that is cyclically regenerated or reborn. Associated with the Sun, a phoenix obtains new life by arising from the ashes of its predecessor. The phoenix � asleep � is the symbol of the glorious bird of fire in transition. Our bodies are programmed from before birth at a cellular level, by everything that goes on around us; that programming affects, at a fundamental level, how we are in the world but that programming, coming from others, as it does, often has little to do with who we truly are or how we are designed to be in the world. The technique of Sleep Magic, introduced in Sleep Magic, Surrender to Success, is Do-It-Yourself method of Emotional Cellular Reprogramming that anyone can use, for themselves, on themselves, to release old, outdated, limiting, and/or emotionally crippling cellular programming. 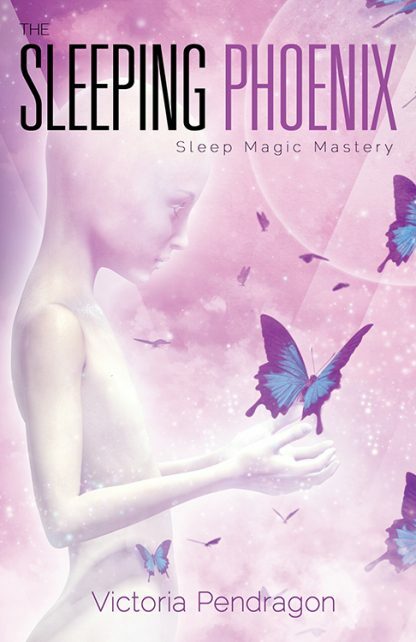 This book, The Sleeping Phoenix, Sleep Magic Mastery (the third Sleep Magic book) elaborates on many subtle and useful nuances of the technique not previously detailed because Sleep Magic, first gifted to me in sleep, has been constantly refining itself the more that I use it. The book also contains over 200 Sleep Magic �assignments� (pre-made requests to the body consciousness) on many aspects of life that can be used as is and/or altered by the reader to suit their purposes.